First impression is the last impression – like many other things, this phrase is also applicable for your home. While people enter your home the first thing that they see is the gate. It is the first thing to give them an idea about your taste. The way you decorate your house reflects your personality. The project starts from the gate only because it leads your guests to your home. A front gate with aesthetic appeal will surely make your guests appreciate your taste. A nice gate is a combination of beauty and functionality. You should not go for a gate that looks great but will not give your house adequate protection. On the other hand you should not go for a gate that is sturdy but looks ugly. A front gate that looks nice and can give your house security is an ideal choice. When it comes to front gate of your house you can experiment with several ideas. Let’s have a look at some of the unique front gate ideas. Arbor Gate: If your home is located in the outskirt of the city, you can opt for this interesting front gate idea. Wood and Wrought Iron Gate: A front gate that combines wood and wrought iron looks elegant and classy. This gate option is ideal for you if your house is big enough. Simple Wooden Gate: This can be a good choice for those with small budget. It can give your home a casual look and feel. Curved Top Gate: This type of front gate is ideal for a country house. Using a bright color for this gate will make it look aesthetically appealing. 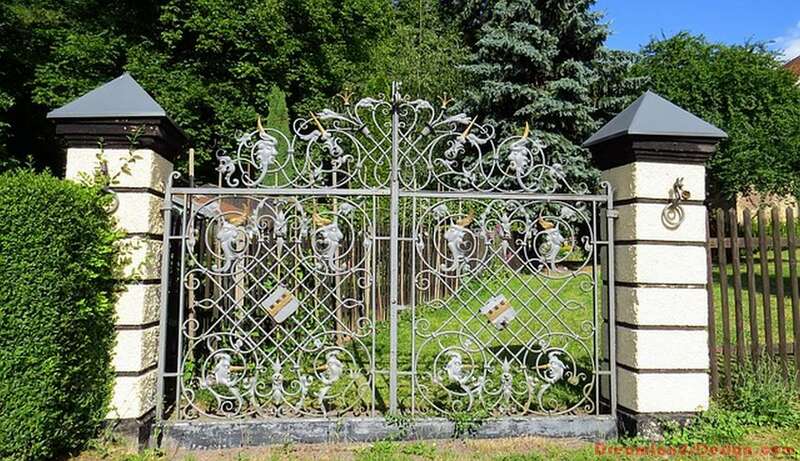 Gate with Small Window: This is a very interesting idea for front gate. Wood is the right material for this type of gate with a small window. The best way to install front gate is to seek professional help. Since security is one of the most important factors associated with front gate you should go for a well known brand like Portcullis Gate Automation. Such brands promise quality. Going for such a brand will offer you value for money. You can get both good look and security when you hire such a reputed brand for designing and installing your front gate.